Shot of a cable car heading up to Table Mountain in Cape Town, South Africa. 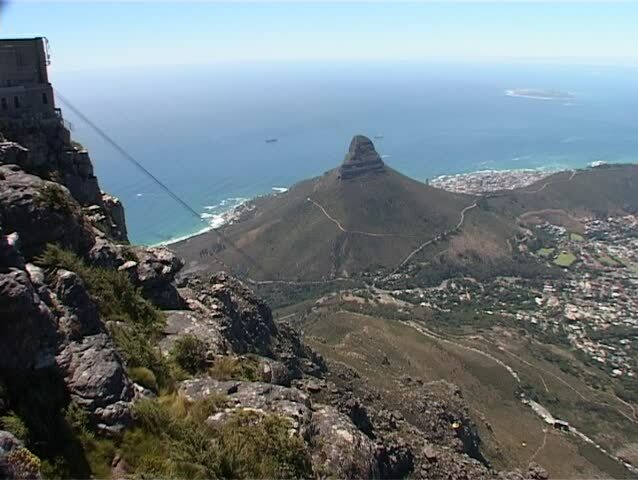 The Aerial Cableway is one of Cape Town's most popular tourist attractions with nearly a million visitors every year. sd00:24Spectacular view of the Table Mountain Cable Car making its way up to the top of Table Mountain with views over Cape Town, Table Bay, Lions Head and Robben Island.